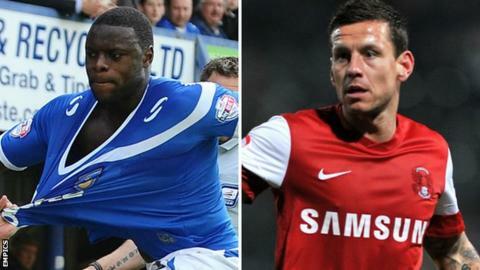 Barnet have signed defender Bondz N'Gala and striker Charlie MacDonald on one-year deals. Centre-back N'Gala, 24, spent last season with Portsmouth, where he scored three goals in 31 appearances. The former Plymouth, Yeovil and Stevenage man had a brief loan spell with the Bees in the 2012-13 season. MacDonald, 33, scored five goals in 30 outings for Oldham last season and has previously spent time at Southend, Brentford, MK Dons and Leyton Orient.